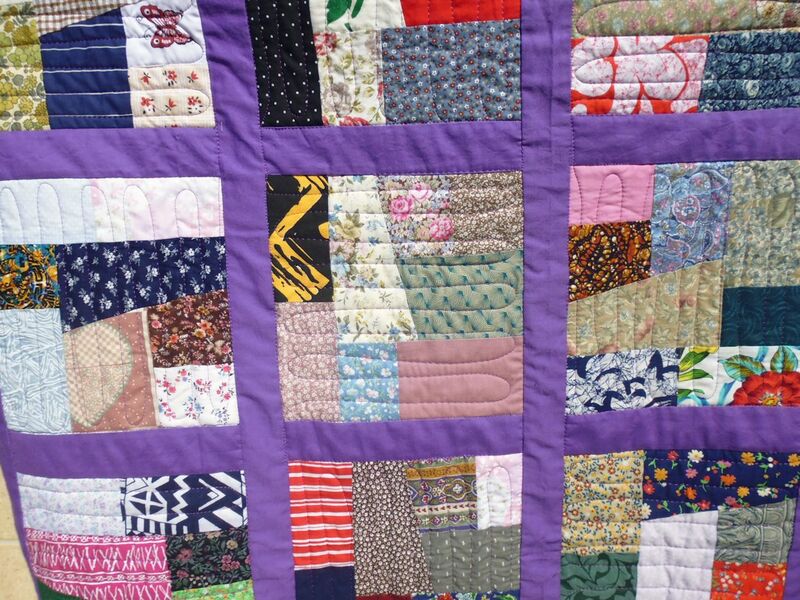 This small scrappy quilt was full of very busy fabrics, many of which seemed quite old. 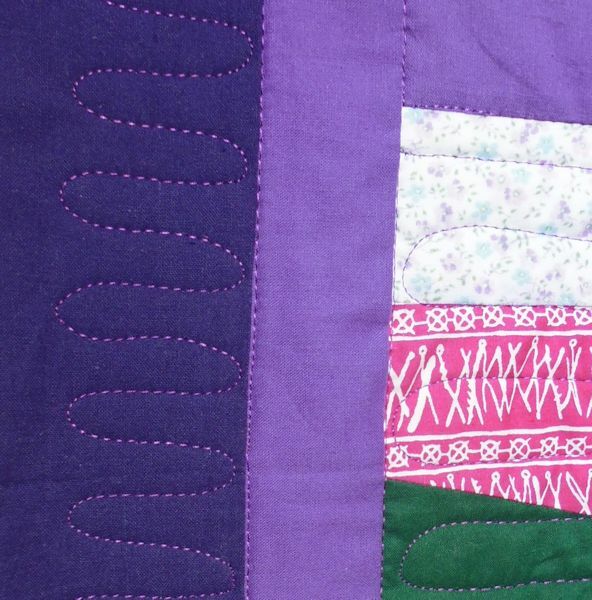 So simple quilting was called for. 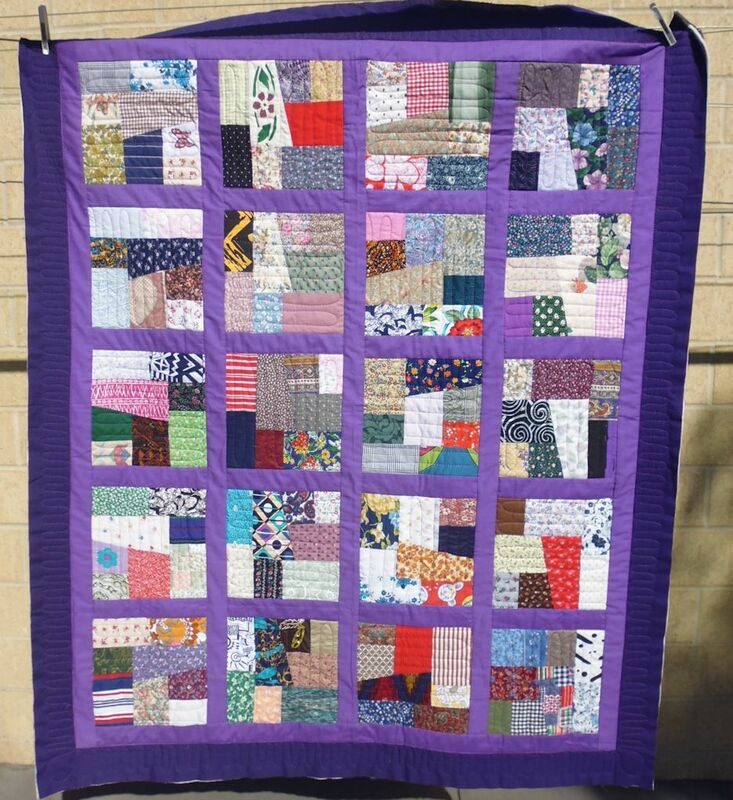 I started by stitching in the ditch around all the blocks, sashing strips, and borders. Then I free-motion stitched a simple elongated ‘U’ shape in each block, alternating side-to-side and up-and-down, creating a checkerboard effect. I repeated the ‘U’ shape at a smaller scale in the borders. Your stitching choices are perfect!!!! !